Star Wars is a film of two halves. After the iconic scrolling text and amazing, triumphant score that opens the movie and once Darth Vader has made his explosive entrance, the movie feels like it grinds to a halt. For a first time watcher, unaware what the Star Wars saga is about, you’d be forgiven for thinking it was a movie about two bickering droids lost in the desert. In fact, it feels like it takes ages for anything of real substance to happen. It doesn’t help that when we are first introduced to Luke Skywalker, arguably the central character of the movie, he is a whiny, irritating brat. Hardly the kid we want to follow to the edge of the galaxy to destroy The Empire. Luke Skywalker is a whiny teenager! Part of this is how Skywalker is written, with George Lucas really building the character’s backstory but not necessarily in an effective way. Add to that the fact that Mark Hamill is hardly the most charismatic of actors and seems to grump his way through the first act of the film. Luckily, the saving grace of this first act is the two droids. R2D2 and C3PO are bickering, arguing and splitting-up throughout the first half of the film. This is made the much more impressive because R2D2 doesn’t even talk! How you make beeps and whistles emotive is impressive but Lucas manages it very effectively. These two characters drive the movie towards the real turning point, the introduction of Alec Guinness as Obi-Wan Kenobi. Guinness makes an instant impact and the gravitas of the character works against the more bratty Skywalker. It also means the movie now has some proper direction and the amount of action, story and adventure Lucas squeezes into the rest of the film is impressive after the slow start to the film. Star Wars delivers so much more after Guinness has made his entrance. We get spaceships, laser fights, planet destroying space-stations and lightsaber battles. It is a quick change of pace and is the reason the film is so well-loved. The ambition is fantastic and although some of the “cracks” are noticeable, you never feel the film has aged or that this is clearly a movie from the 70s. This is most noticeable during the final act finale; the attack on The Death Star. This is an exciting, quick-paced and effects-laden battle with plenty of deep-space explosions and fire-fights. As cheesy as the end is, you can’t help but smile as The Empire sees defeat. 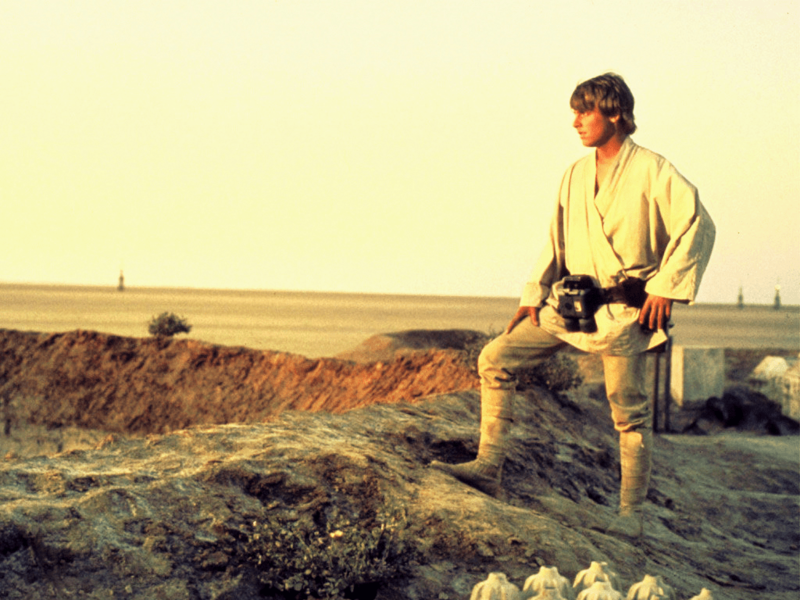 It isn’t just the effects and science-fiction that has made Star Wars so iconic. The characters are brilliant and considering at least two of the most memorable can’t even clearly communicate (R2D2 and Chewbacca) this is clearly a sign of good writing. The movie’s main characters of Carrie Fisher’s Princess Leia, a strong-willed, adventurous female rather than a damsel-in-distress, and movie-stealing, smuggler Han Solo, played memorably by Harrison Ford, elevate Star Wars above the usual Sci-Fi romp. Whether Lucas intended too, and I’m certain that he didn’t, you can begin to see the development of a relationship between Leia and Han Solo. The disdain but clear respect that they both show each other is there from the beginning and makes more sense as the saga develops. 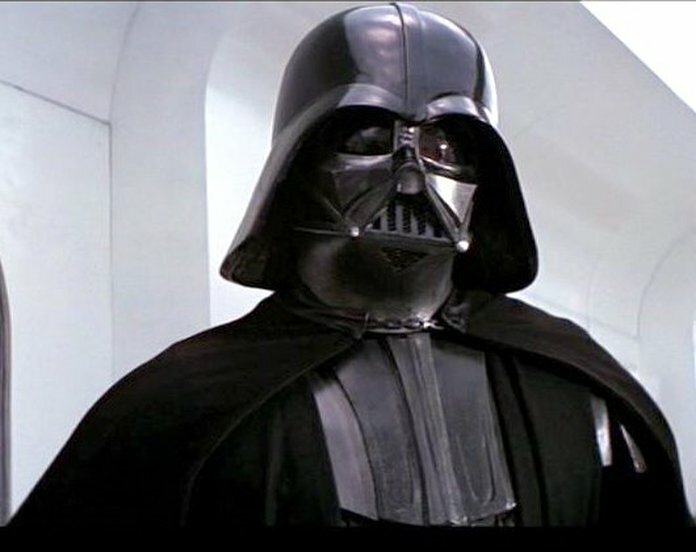 No character makes more of an impact than the villain though and from the moment Darth Vader walks through the door, he is a menacing and suitable adversary for our collection of heroes. His effect has begun to wain as pop culture has taken over but presented in his full, evil glory, you can see why the character became such an icon and also why the choice not to kill him off at the end of this movie was a fantastic one. 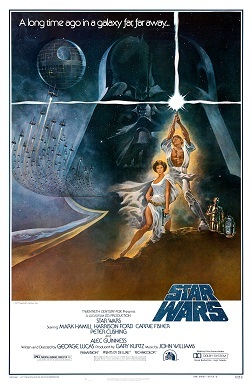 Overall, Star Wars: A New Hope is a fitting beginning to the saga but all the best elements of the movie are presented in the final two-thirds. The effects still hold-up today, the characters are brilliant and some of writing is impressive considering that some of the more memorable additions to the cast can’t even talk! This is one of very few movies that I could watch a million times and never get tired of. This movie is probably my favourite of the series and that’s hard to say in the face of Empire. I agree with you that Lucas didn’t intend Han and Leia to get together later on but it does work, and despite it being Luke’s story, Star Wars is definitely Han’s movie. “You’re all clear, kid” still gives me chills! Previous Previous post: Is it time for a faithful version of The War of the Worlds? Next Next post: Is it too easy to blame the studio?